As each iteration progressed, a desire to create something for production ensued…. 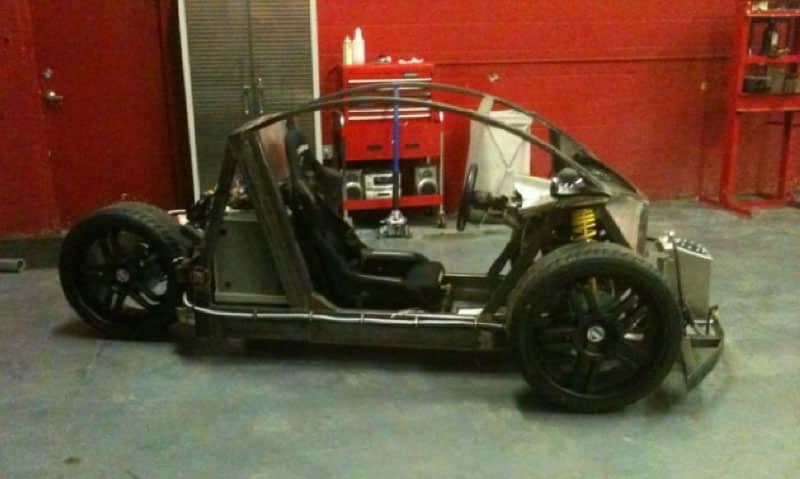 Vanderhall’s first prototype was rudimentary. It had no reverse gear, was only a single-seater and was not stable in cornering situations, but was a blast to drive. The chain-driven, steel chassis was fun in a “challenging to drive” kind of way, if you didn’t mind the smell of clutch. P1 utilized a Kawasaki ZX10 motor. 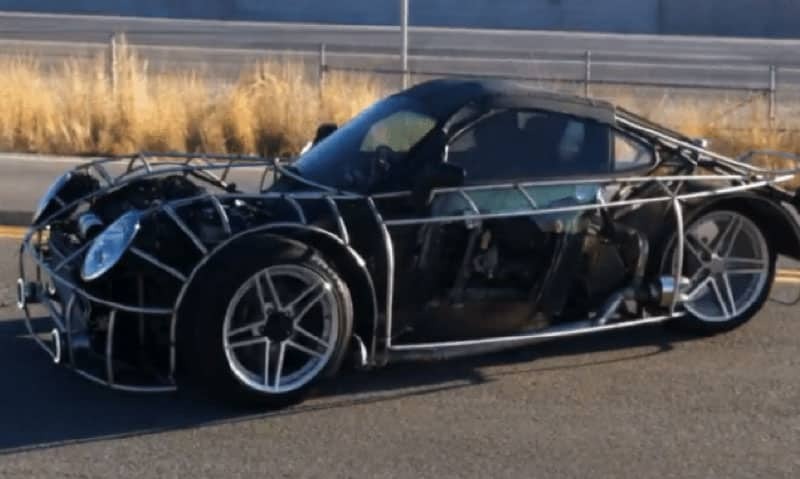 Vanderhall’s second prototype saw major chassis improvements to the same 90” wheelbase of P1. Handling was still atrocious. The enclosure was functional and roomy with a curbside scissor door. P2 had a Yamaha R1 motor with insufficient torque to get it rolling quickly. 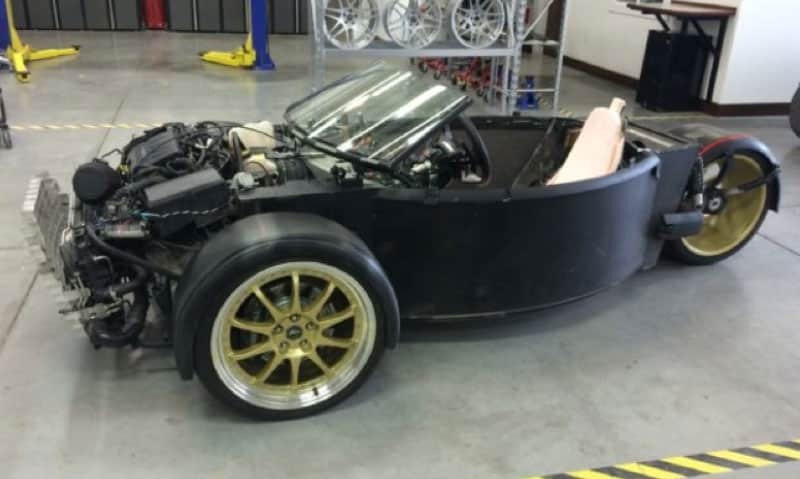 Vanderhall’s third prototype moved to an aluminum chassis. The single, curbside door was also scissor animated. A Rotax motor enabled a reverse gear. Horsepower was lacking and electrical capacities were insufficient to run accessories. 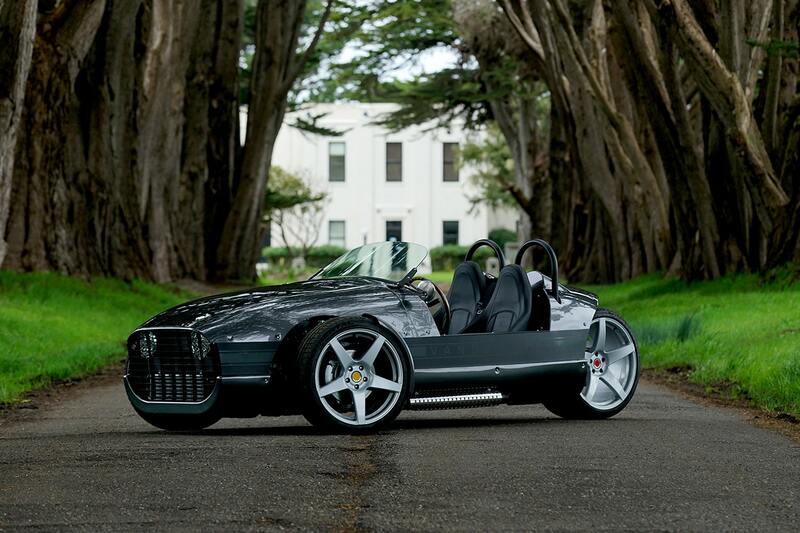 Vanderhall’s fourth prototype was affectionately dubbed the “conduit car”. The fabric skinned steel frame was a shortcut to proof of concept. With one door that opened traditionally on the curbside, the single seat P4 was wider than the previous units, extending the track to 60”. More importantly, rear wheel drive was abandoned and a GM 1.4 liter turbo powered the front wheels, solving cornering stability, weight transfer, and electrical concerns. Vanderhall’s short-lived fifth prototype was the first transition to a side-by-side configuration. 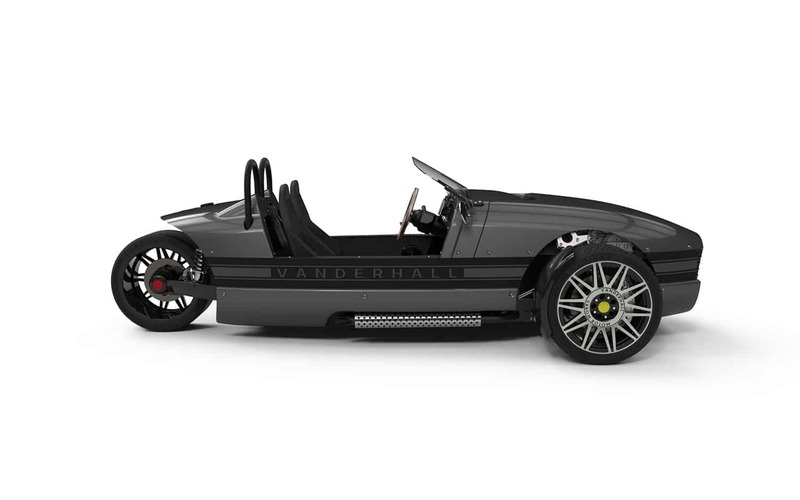 While utility has never been a design goal of Vanderhall, making space for a second passenger just made sense, even if the passenger seat stays vacant 90% of the time. P5 was almost brought to production. It was an enjoyable drive, it handled well, was quick and sat two adults albeit in close quarters. It had an adjustable windscreen rake enabling taller drivers to bring the pitch up to increase visibility. It was a bit difficult to get into. 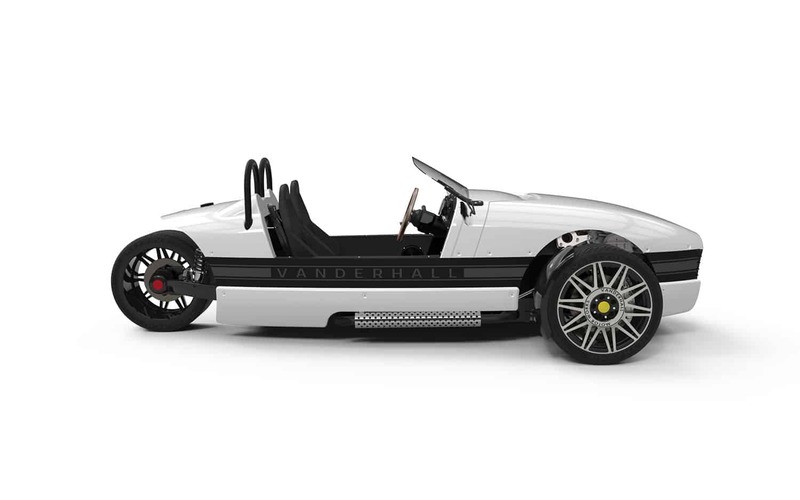 Vanderhall’s sixth iteration saw minor chassis improvements, the design went from paper to modeling quickly and was almost just as quickly scrapped. The enclosed wheel design was not attractive–the lines and proportions just didn’t work. 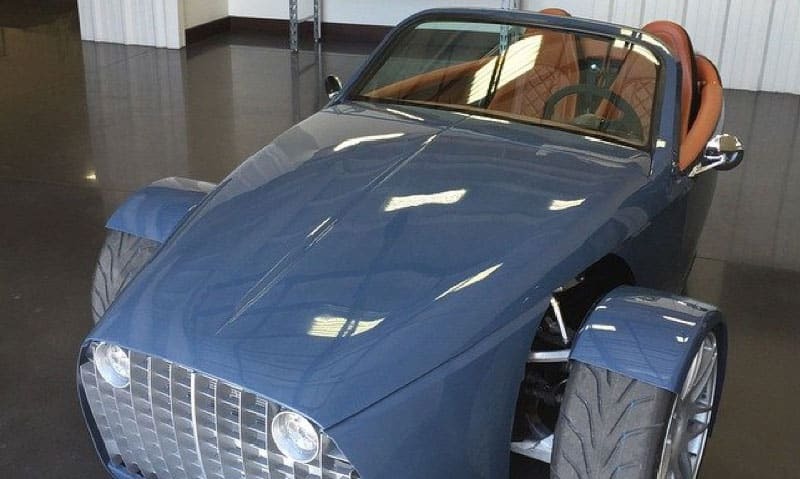 Vanderhall’s seventh prototype was an inclusion of all things comfort related. 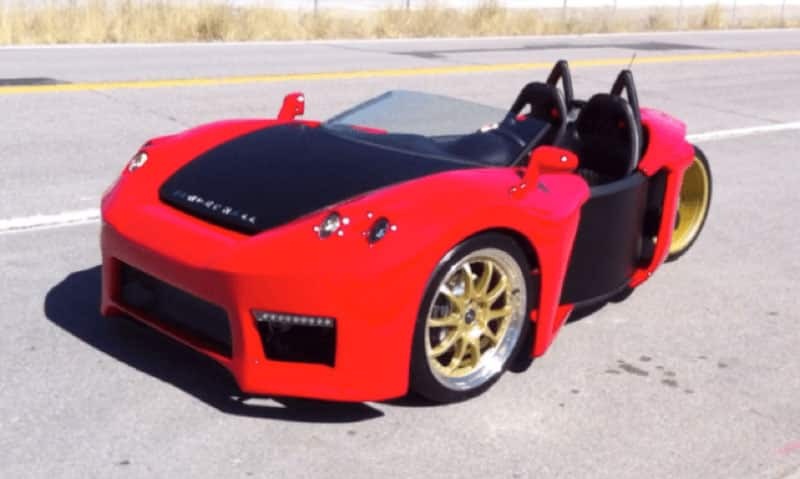 It was a fully enclosed, side by side racer with roll-up side glass, and a fully sealed removable hard top. The swing arm was moved to the right side to offset the weight of the driver. While the concept was more or less complete, and focus groups seemed to really love the vehicle, there was something missing. The taper from front to back was too drastic and lent to awkward proportions. It was also overweight and performance suffered. Something needed to change. 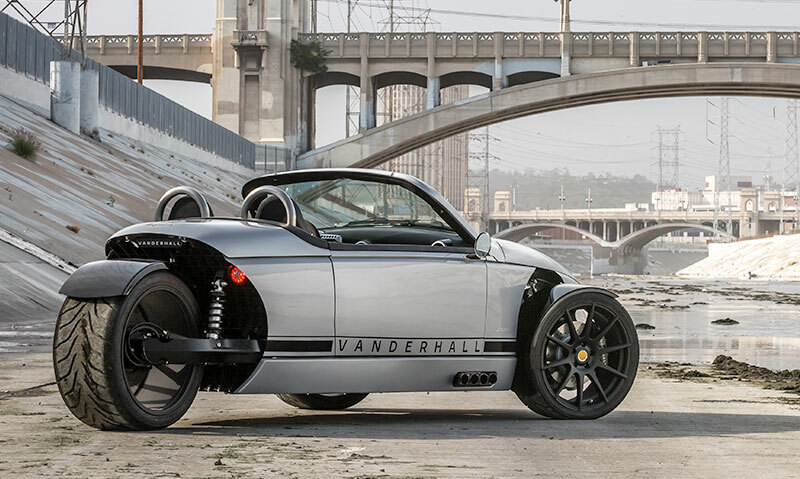 The Vanderhall Laguna was born after stripping the 7th iteration’s body panels and brainstorming for something new. 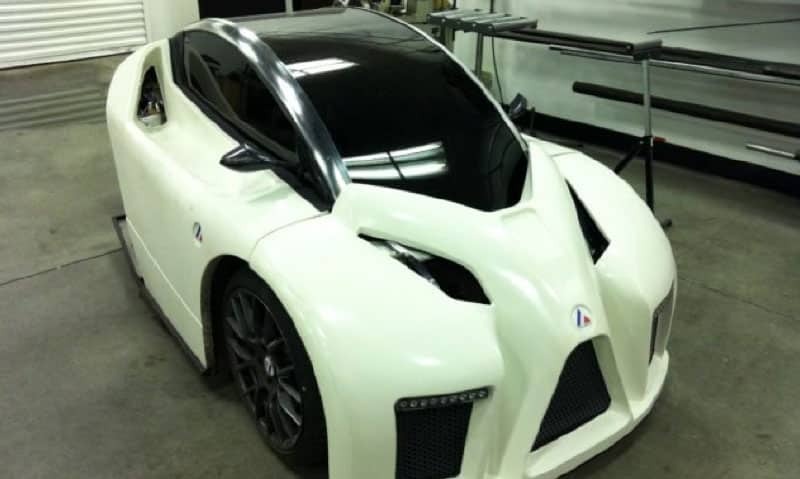 While looking over the exposed chassis the question came to mind, why does this raw chassis evoke more desire, and intrigue than anything else we have created? The answer was the open wheels. The simplified exposed tires lent an aggressive, yet timeless demeanor to its stance. This iteration brought the smallish headlights back to the surface of the grill. The tub was designed to allow individuals 6’8” or taller with adjustments. The carbon fiber process was improved from P8. Provisions for heat and air-conditioning were included. Not quite satisfied, the sketchbook was reopened as the front grill needed some adjustments. Multiple prototypes and five pre-production unit were built of P8.2. 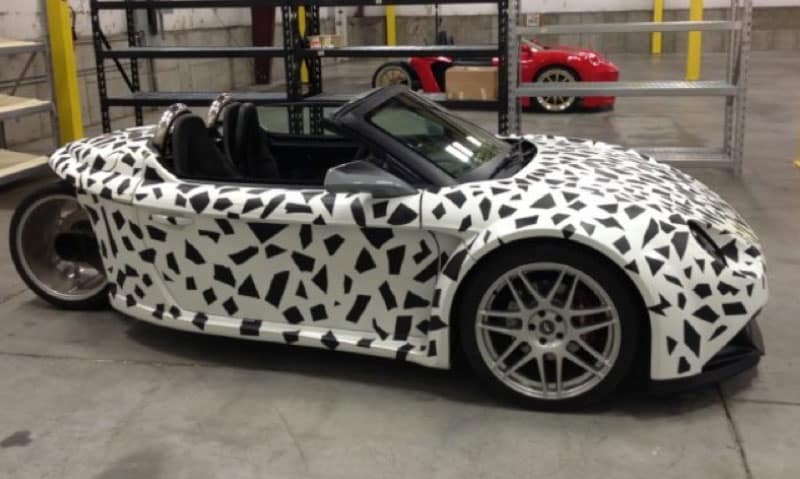 The chassis was stiffer than all earlier renditions. The door jams and closures were vastly improved. With extensive testing in real-world situations, it was finally agreed that this iteration was almost ready for consumers. There were a few minor areas that needed engineering tweaks. 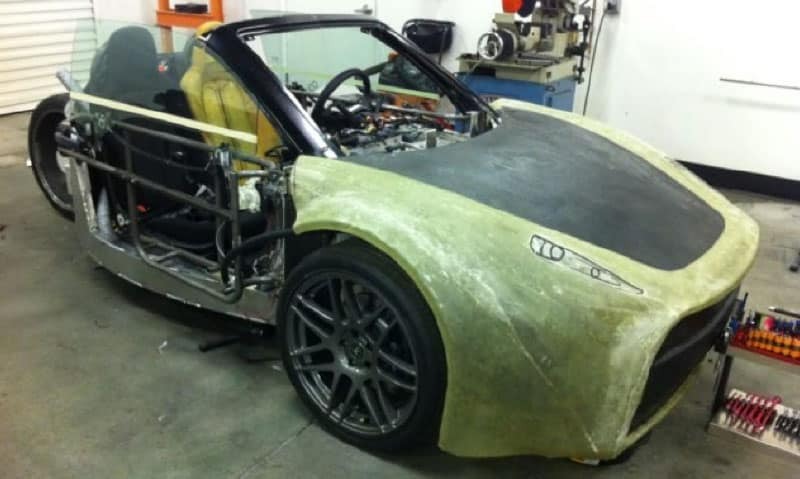 The Check list included: A carbon fiber top, roll hoops, and more stiffening of the chassis. 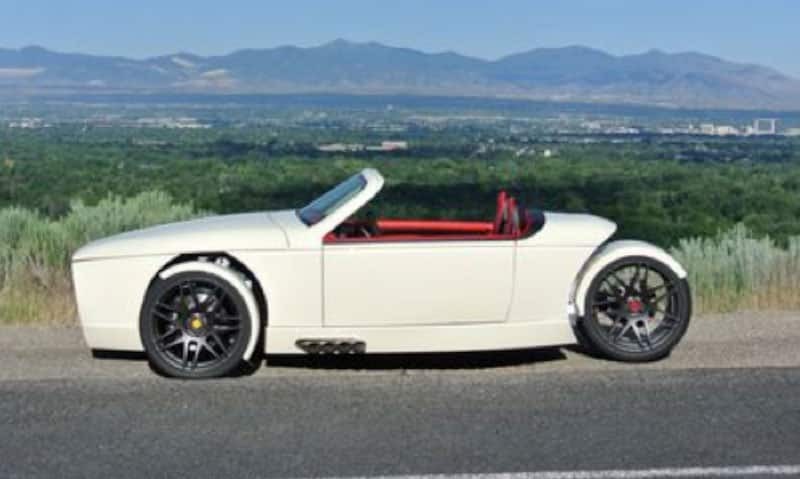 The final and current production version the Vanderhall Laguna saw chassis stiffening, handling, creature comforts and other improvements—truly rounding out the motoring experience. The headlights were increased in size to round out proportions. There is no visible stereo in the interior, just simple controls for comfort. The reasoning behind the lack of an FM/AM stereo is twofold. One, the vehicle is timeless, and the first thing a radio console will do is date it. Secondly, the experience: The throaty growl and rhythm of a Vanderhall going through gears is what most of our customers want to hear. A 600 watt, Bluetooth connectable sound system is hidden/included. The race inspired pushrod suspension is as unique as it is exotic. 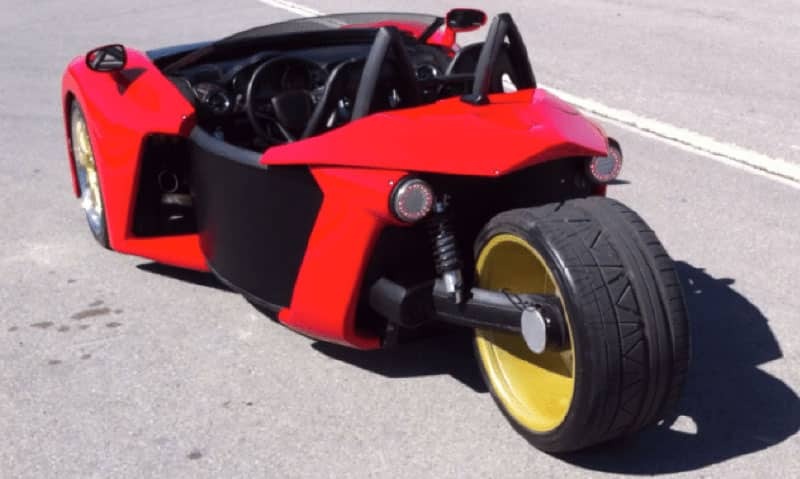 Its function enables a more compact body package while delivering in its ultimate goal of providing wonderful feel and precision in handling, cornering, and braking. Whether you choose the Laguna, the Laguna Sport Premium or go all out with the Bespoke Laguna, Vanderhall offers exclusivity, enjoyment, and excitement in excess—a return to the golden age of motoring. The Laguna, Starting at $49,950. The Laguna Sport Premium, Starting at $58,850. The Laguna Bespoke, All-inclusive at $77,000. For the customer that wants what they want, how they want it. The Venice is a classically refined demonstration of art-on wheels. With a 1375 pound dry weight, the 4cyl turbo charged engine will bring tears to your eyes. 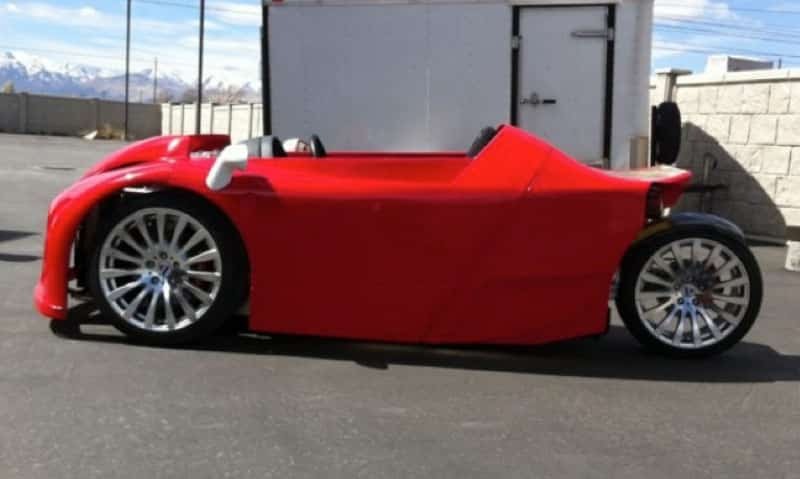 An American-made, hand-crafted auto-cycle starting at $29,950. BAC Mono – One of a Kind.